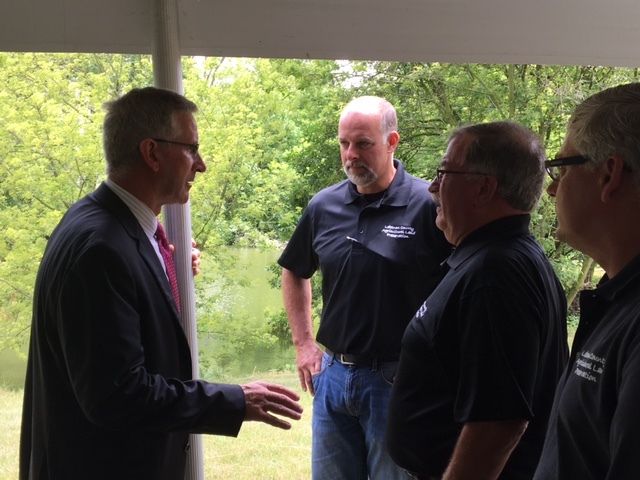 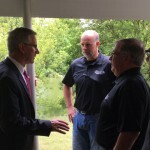 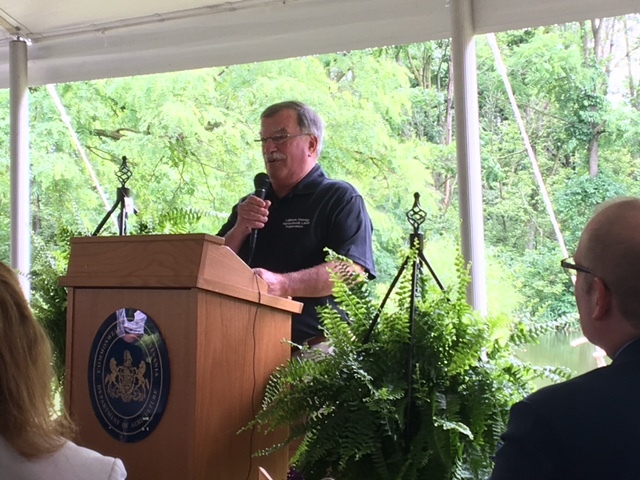 Lebanon County Commissioners, Lebanon County Conservation District, and Lebanon County Agricultural Land Preservation Board celebrated the 25th anniversary of Preserving Farmland in Lebanon County on Friday, June 23 at the Horst Family Farm. 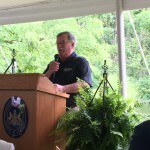 In attendance were several dignitaries along with South Annville Township Supervisors, Dale Hoover and John Harrell who are current Lebanon County Agricultural Land Preservation board members. 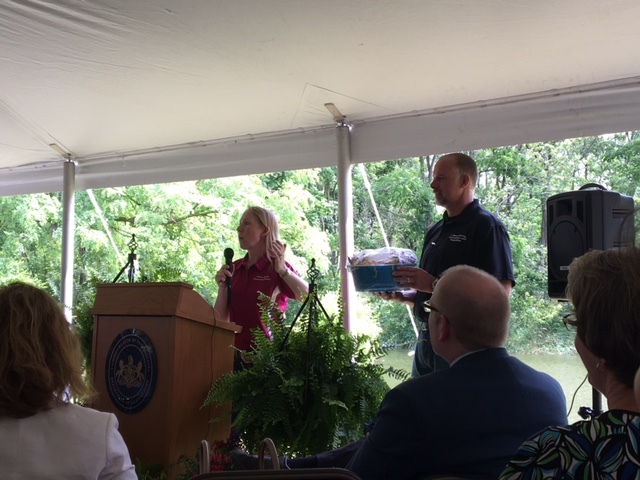 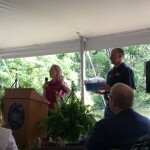 Lynette Gelsinger, District Manager, Lebanon County Conservation District serving as auctioneer and John Harrell holding an item being auctioned off as part of the fundraiser auction in which proceeds are going to purchase additional acres for preservation. 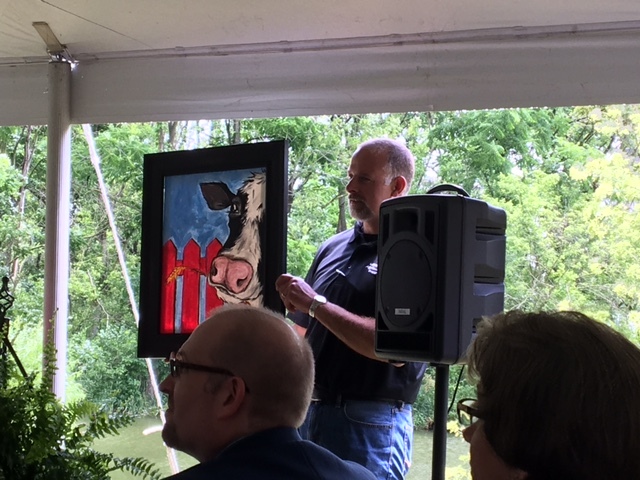 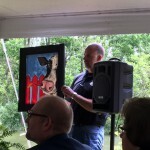 John Harrell with another item from auction.